The physician and staff at Tierra Healthcare Concepts are very professional, knowledgeable, and very helpful. I have suffered from Chronic pain for 10 years as a result of a cervical injury. Doctor Saddler was very attentive during my consultation and answered all my questions. The office was very clean and organized. I would recommend Tierra Healthcare Concepts for those individuals suffering from chronic pain as I do and who are looking for an alternative. What a surprisingly pleasant experience! Very professional from start to finish, and I feel like I dealt with real people. This was exactly what I wanted. They handled everything and assisted me through the process in a very smooth and organized manor. It’s not often these days that you get handled like a person and not a number. I am very pleased with my decision in choosing THC Physicians as my doctor. I would definitely recommend them to my friends and family. THC physicians are the professionals to go to for medical marijuana prescription. The staff was extremely knowledgeable and they answered all my questions before I even came into the office. This is the best office to visit to obtain a medical marijuana card. I would highly reccomend you call and schedule an appointment today! My initial visit was welcoming and well informed. Professional staff so I decided to get qualified and the staff was very helpful even stamped an envelope in the end. No long waiting period for a consultation and a safe and pleasant location also. This is a new service to Florida that is long overdue and even though it’s in the early stages in this state they learned from others states so the procedure is more efficient. I highly recommend Tierra Healthcare because they do just that: CARE. The doctor was kind and considerate of my needs and the staff made the process very comfortable and easy for me. The office was modern and clean. All of my questions were answered up front. I highly recommend this office. Awesome facility! With all of the new, similar businesses in the area it took some research to decide but I’m happy with the choice I made and wish I would have done it sooner. Thank you to everyone at THC Physicians! Honestly went above and beyond! 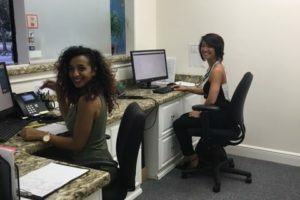 This office made getting my medical marijuana card super easy! The staff was also very knowledgeable and helpful. I highly recommend this office for anyone looking to get their medical marijuana card. Very professional environment with a knowledgeable and friendly staff. The office is beautiful! Office was beautiful. Doctor’s and staff were beyond knowledgeable and they make sure the patients feel very comfortable. Highly recommend it!! Staff was very professional and was a great atmosphere. I highly recommend. The Doctor in this facility is one I would recommend, he cares abut his patients and takes the time out to ensure all patients or prospective patients receive top quality treatment from his office and office staff.